Whether it’s a Sunday lunch or week night dinner – this recipe will go down a treat. 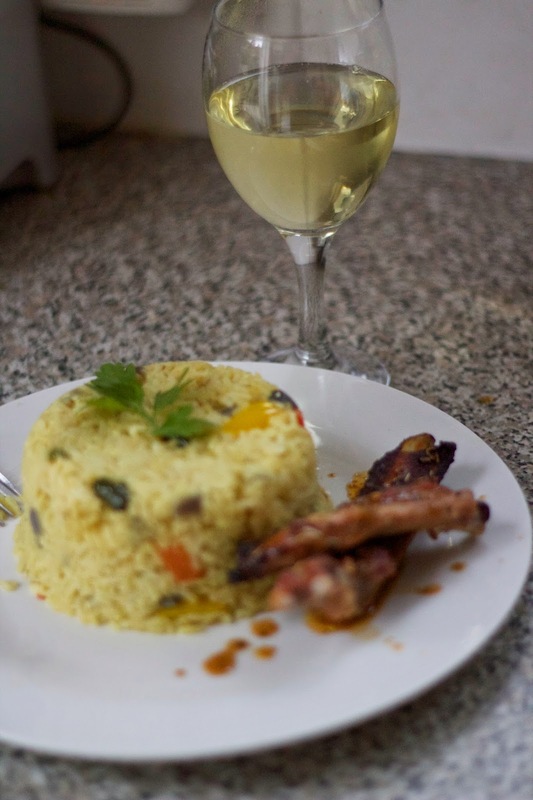 It’s one of my favourite recipes made with a special marinade of West African herbs & spices served with rice and sometimes plantain. The thing I love about it is that it’s so easy to make and doesn’t take a lot of time. 1 whole Seabass or Tilapia, cleaned and gutted (ask you fish monger to do this for you). Combine all the ingredients (except the fish) in a bowl and mix well, then coat the fish with the marinade. If you want to make a light sauce, dissolve stock cubes in warm water and pour over the fish. Alternatively you can skip this step and add the stock cubes or soy sauce in the marinade to marinate the fish. Bake it in the oven for 15-20 mins, in baking paper or foil. Take out of the oven, you can even grill the fish for a little longer. Remember a few weeks back at the rennie happy eating even with the Sorted Food Guys, I mentioned a Mystery box challenge? well here it is! Now on to the challenge, we had to randomly select one of the numbered boxes (pictured above) and hidden inside were unusual and nameless ingredients that we were challenged to make a recipe out of. I was lucky enough to pick what I considered the right box (for me that is) and tucked inside my chosen box, in a clear plastic bag was an assortment of fragrant dried herbs and I instantly thought – middle eastern, marinade, as in, what it can be used for and surprisingly I was right! The ‘herbs’ were Za’atar a combination of beautifully fragrant middle eastern herbs mixed with sesame seeds, dried sumac, salt, as well as other spices. I did do something quite unorthodox by using it on a pork recipe. However, it did taste amazing and can be used with the same ingredients for chicken and lamb. I made grilled ribs with a slightly sweet tangy yogurt marinade served with Jollof rice with salad. Please see recipe list below. 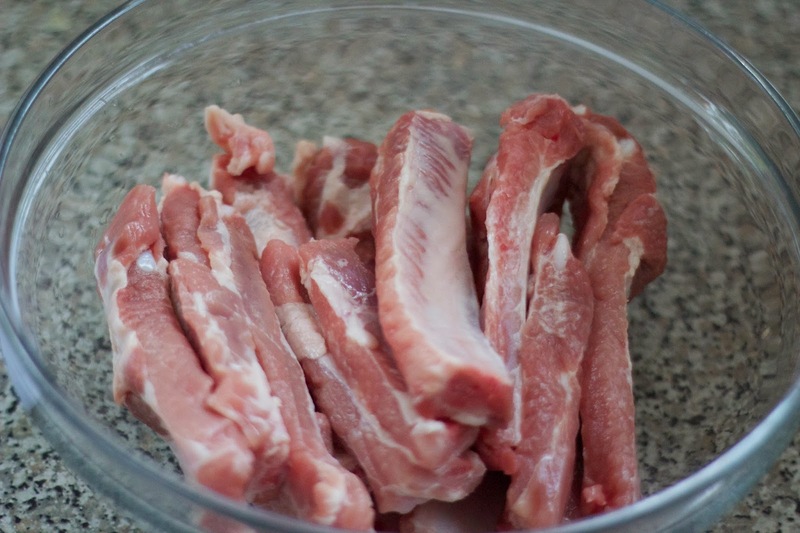 In a bowl add your ribs, wash with half a lemon and water. Pat dry with a kitchen towel and begin to season with salt (a large pinch), black pepper, white pepper, garlic, ginger. 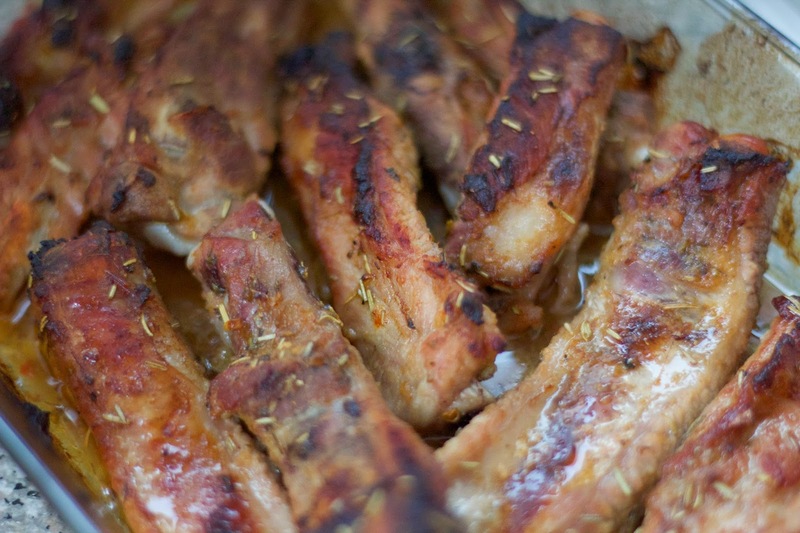 Combine olive oil and honey in a separate bowl with the Za’taar and pour over the seasoned ribs. Combine well. And lastly as a spare of the moment decision I threw in the yogurt all you’ll need is 2 tablespoons. Combine all cover and leave to marinate for a few hours, best done over night. Transfer to a large pot I like to use my trustee red ceramic pot, add a bit of water, cover and leave to cook on medium to low heat for 30 minutes (add some water if it dries off). This will help speed the cooking process. When the time is up transfer ribs to a baking tray and pop it in the oven or grill for a further 15 minutes, cook till tender, turning over to brown both sides. With the left over marinade simmer for 5 minutes add some cornflour to make a delicious glaze and coat ribs with upon finishing. Once is done leave the ribs to rest, then serve. 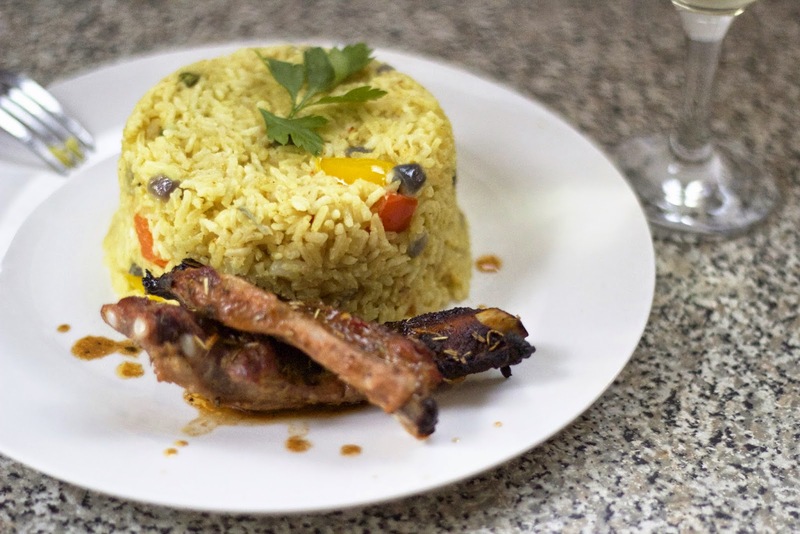 Ribs were made with Jollof rice check out my recipe here or (watch below) with a side of simple salad, so simple I didn’t make a salad dressing. lol. Hope you like this, check out the guys at Sorted with the ‘Mystery Box Challenge’ watch the video on their YouTube channel here. a big thank you to Rennie for this fantastic opportunity visit Mystery Box Challenge to find out more. It’s been a while since I’ve made this recipe, It’s definitely a favourite of mine, my mum usually makes the traditional nigerian version of this (which i so love) with mixed prawns, stock fish and veg served with fried or grilled chicken. I decided to put a simple spin on this to make it easier without losing it’s authentic flavour I thought it would also be a great combo with seasoned sweet chilli ribs. Make sure you pre heat the oven at 200 degrees before you start, wash the ribs in salt or lemon water, rinse the pat dry. Sprinkle, salt, chopped garlic, tsp of coriander powder, paprika and soy sauce, mixed herbs and 3 tablespoons of sweet chilli sauce. 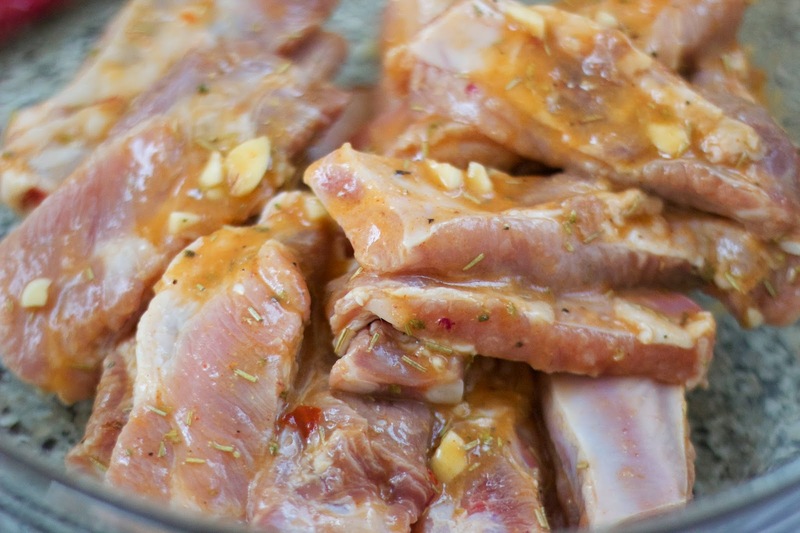 Leave to marinate for 3 hours in the fridge (better overnight). Sprinkle olive oil and add to a pan pop in the oven and leave to cook for 40-45minutes. Whilst in the oven start on the rice. 3 cups of rice: wash and rinse under water till waters clear then par boil for 10 minutes. sprinkle 1 cube of maggie cube. Followed by 3 tablespoons of tomato paste (Puree) and tablespoon of curry powder. Mix together and leavefor a few minutes. 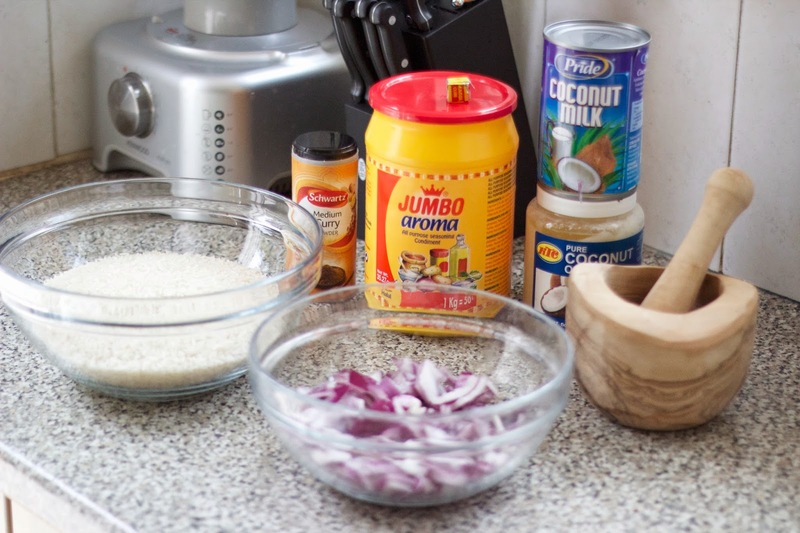 Add a can of coconut milk to the onions, mix and leave to simmer for 10 minutes, once the 10 minutes is up add your par boiled rice and chopped peppers to the coconut mix. Sprinkle a tablespoon of all purpose seasoning and a tablespoon of fish seasoning mix together cover and leave to cook for 20 minutes. The finished product, crispy juicy ribs once its done. Anyone who knows me knows how much I love Jollof rice. It’s something I grew up eating and It’s one of the first things I learnt how to cook. It’s like a staple meal/recipe in every west African household, and since its Christmas soon, we’ll deffo be serving this (Mummy’s Version) alongside turkey, potatoes, and all the other good stuff. 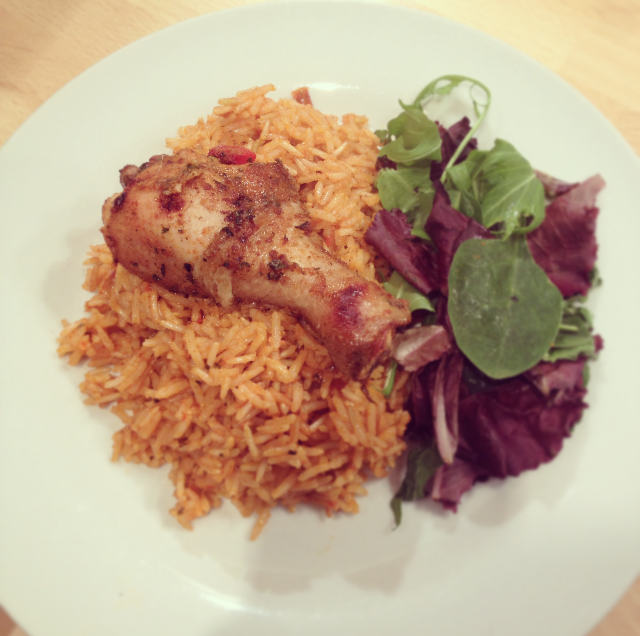 Jollof is simply rice cooked in a rich tomato sauce, served with chicken plantain or salad. There are a few variations to how it’s cooked depending on the rice or extra ingredients used. But all in all it’s great and tasty recipe that you must try if you haven’t. -Grab your Tomatoes Tinned or fresh, scotch bonnets and add to your blender/food processor then blend for about 40-60 seconds and set aside. 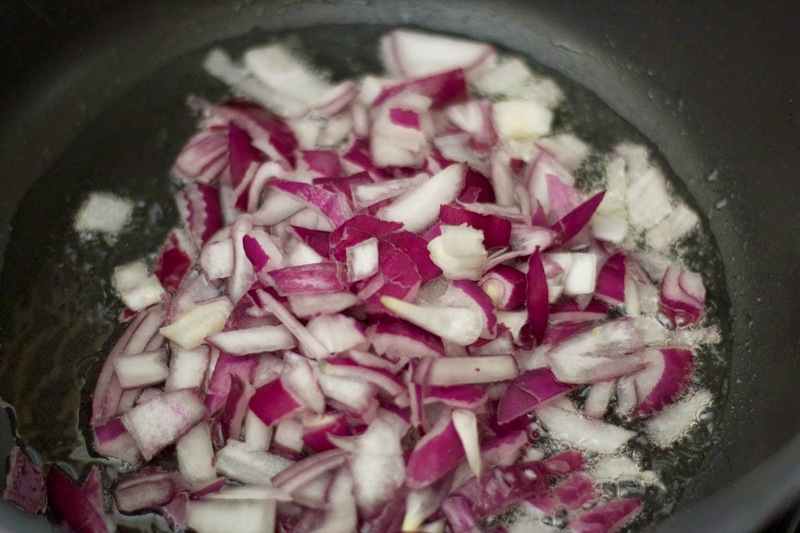 -In a Heated pot with the oil, add your chopped onions, garlic and ginger and saute lightly. – Add your curry powder followed by tomato paste, leave to cook for 2 minutes on medium to low heat (We don’t want it to burn lol). – Once the 2 minutes is up, grab your blended tomatoes and pour into the pan over the onions and leave to cook for 20-minutes. 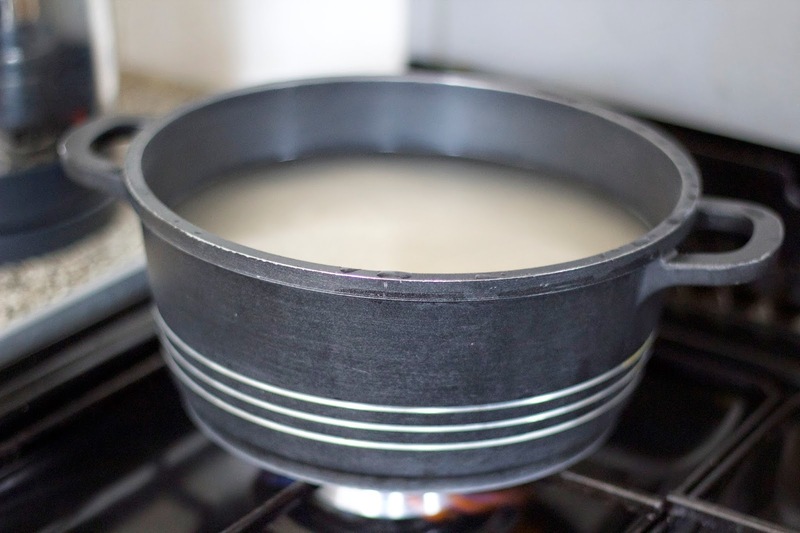 – Grab another bowl or pan and add the rice and wash it thoroughly till the water runs clear then set aside. -Once the 20 minutes is up add the rice followed by the chicken stock to the tomato stew. Cover with a foil to further steam the rice and occasionally drop in some hot water from the kettle until it’s cooked through for 20-25 minutes. 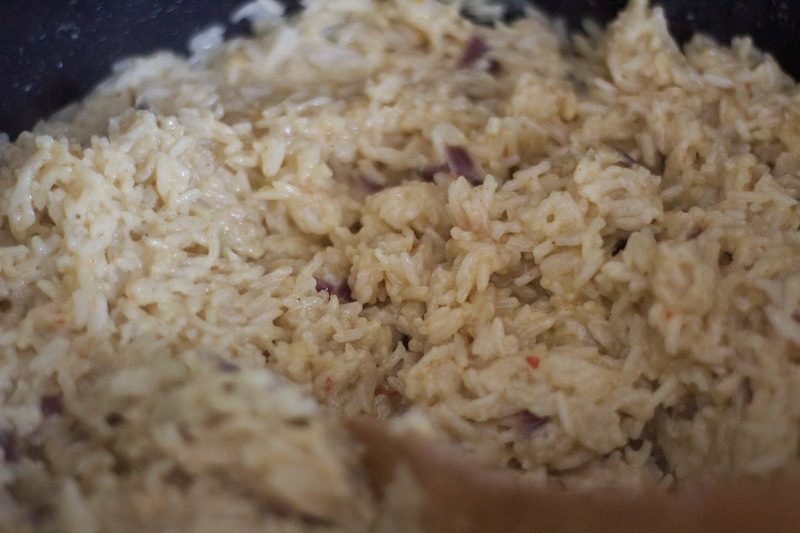 *Tip: Avoid stirring the rice if you do so, use a fork to avoid mushing it. 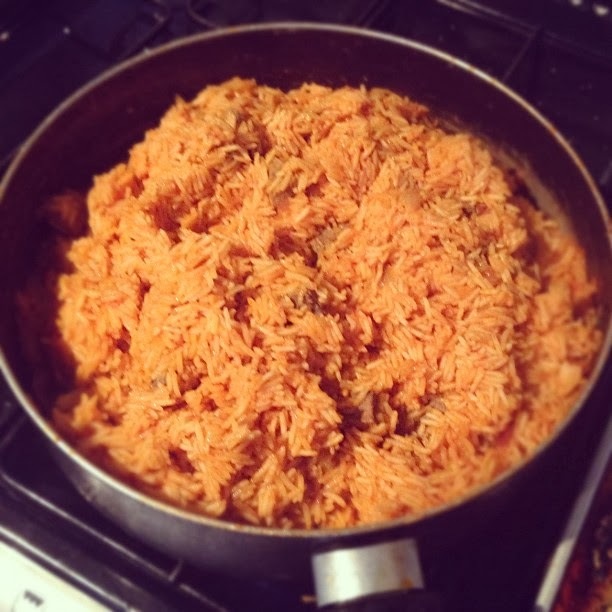 *Quicker method is to Par Boil the rice for 10 minutes on medium heat then add to tomato stew. Grab your chicken pieces and in a bowl wash them in salted water. You can use vinegar or fresh lemons ( I tend to use lemon) because it peels of the fat in no time and leaves the chicken squeaky clean. Add your seasoning: for this recepie I used: 2 cloves of garlic (minced), Tsp of ginger, 1/2 lemon, Honey and salt, with black pepper and dried afican pepper, x2 Maggie bouillon cubes and a sprinkle of thyme. Marinade (Ideally it’s good to leave over night in the fridge) So if you plan on cooking it the next day do it before hand to the flavours can get in. 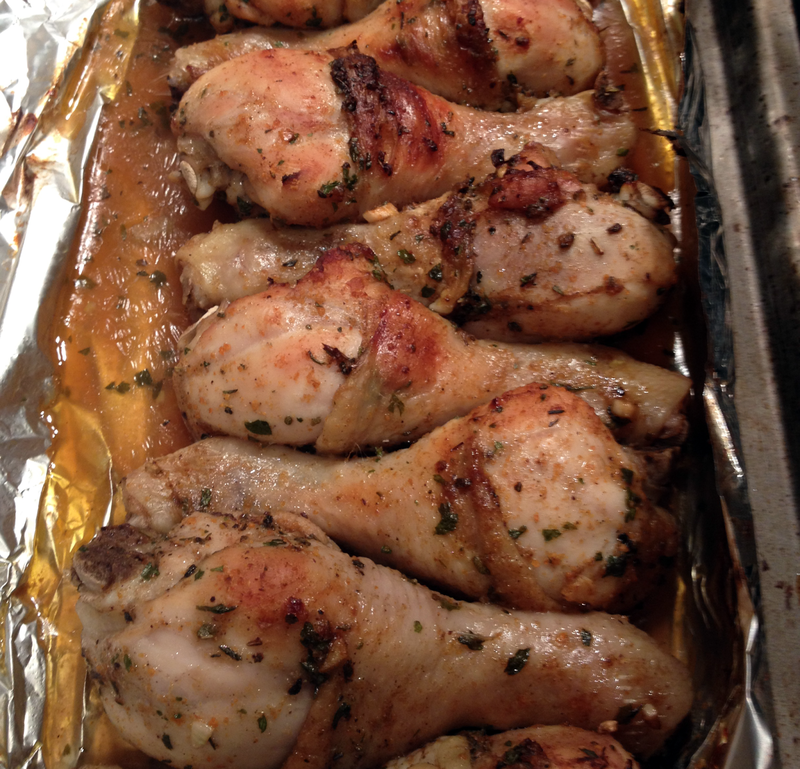 Once its marinated slip it onto a baking tray drizzle it with a bit of oil & pop in the oven for 30-35 minutes. To check if the chicken is done pierce with a knife if the juices run clear it’s done, if it’s red, keeping cooking. Once it’s all done Grab a plate add your salad, rice and chicken then servee!